Beachfront with amazing views. 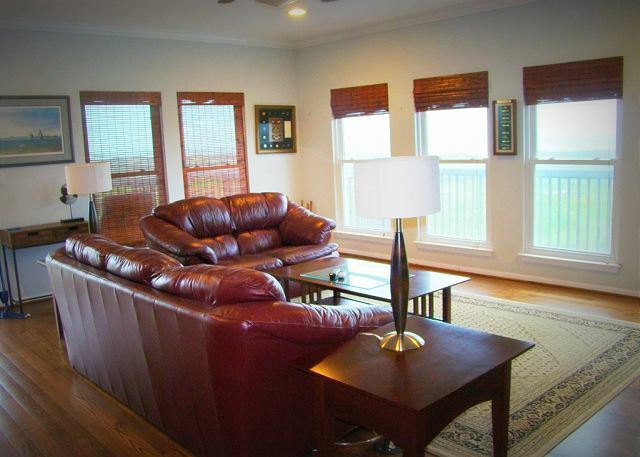 1 Fine Day is what you'll say every day while vacationing in this beautifully appointed beach home. Large living area with comfy furniture and a spectacular view, dining room adjacent to a fully stocked kitchen any chef would love. Three cozy bedrooms, each with a flat screen TV and ceiling fan make the end of a long day super relaxing. Large shaded deck off the front and plenty of sun deck on the side is sure to please everyone in your group. 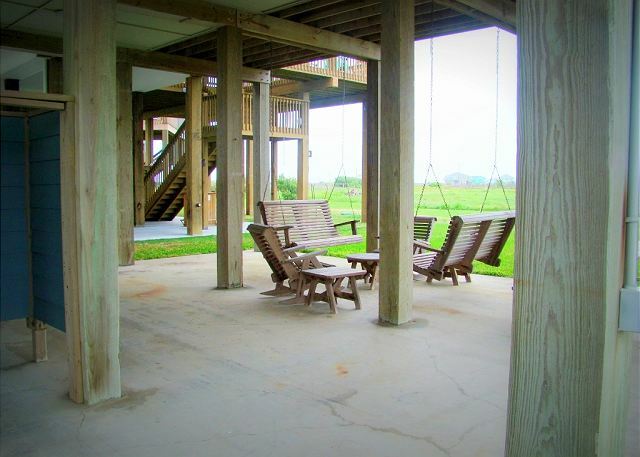 Downstairs you'll find a pair of swings, picnic table and sand shower. 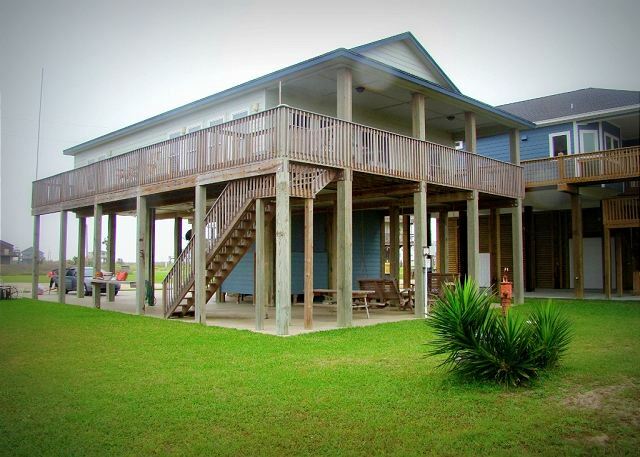 Easy access to wide family-friendly beaches, close to favorite bird areas and the Bolivar Flats, this lovely home will certainly make for many fine days. Master Bedroom (Queen), Guestroom 1 (Queen), Guestroom 2 (Full), EZ Bed (Queen); Two baths with tub/shower combo. This home works well with JUST ONE MORE DAY and NOT TOO CRABBY. Rooms Sleeps 8, Master Bedroom (Queen) - Bedroom 2 (Queen) - Bedroom 3 (Full) - EZ Bed (Queen). Two baths with tub/shower combo. 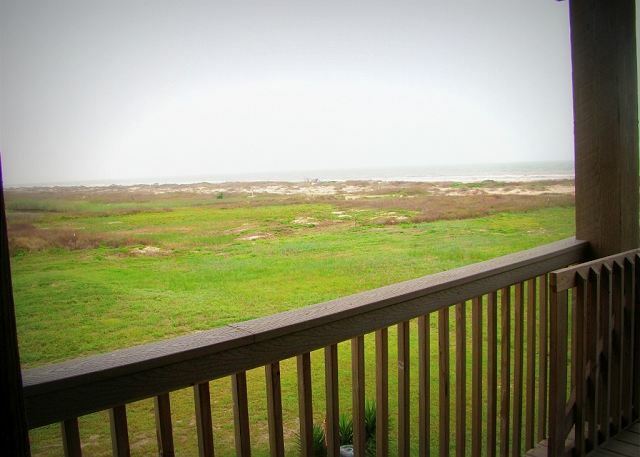 The house was awesome, good view of the beach and easy access to the beach. The house was clean and very nice. We really enjoyed our stay. We hope to go again soon. Cobb Real Estate staff were very helpful and really nice. Our family thoroughly enjoyed our visit at 1 Fine Day. 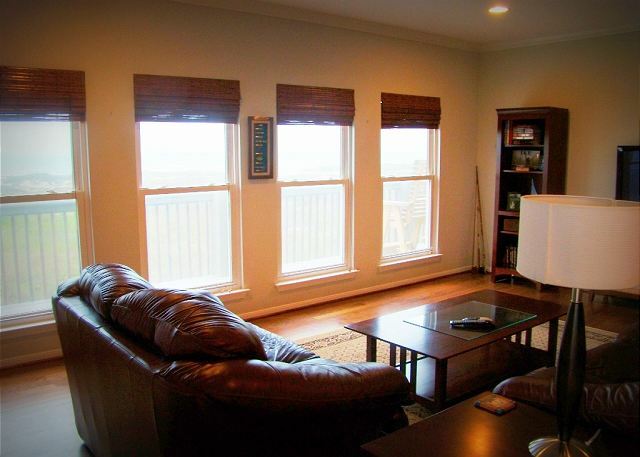 This house sits perfect near the water with a very small distance of walking to the beach. 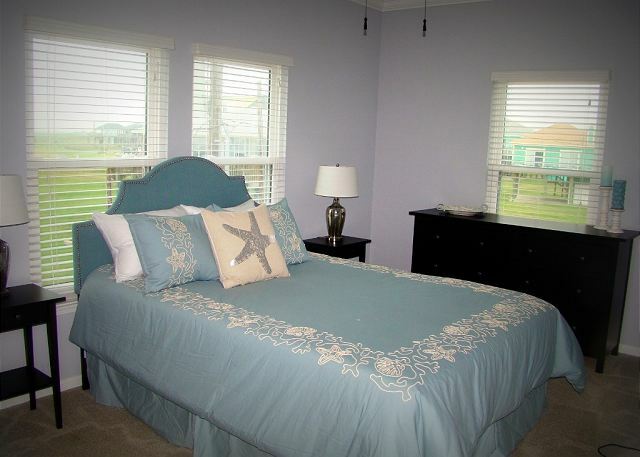 The Master bedroom and top porch have a beautiful view of the Ocean morning and night. 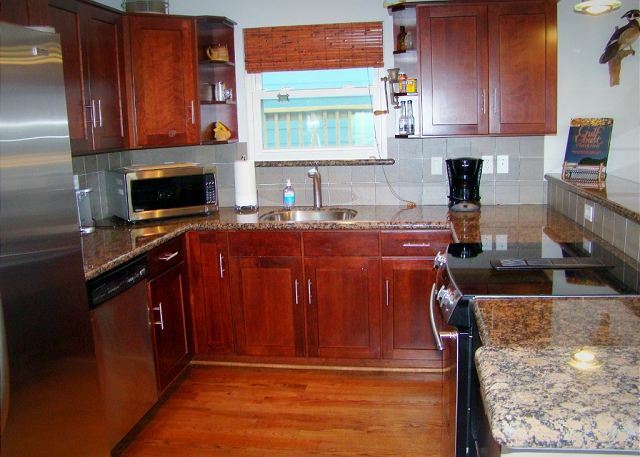 The kitchen is fully stocked and the pictures provided are exactly what the house looks like. We definitely can not wait to go back to 1 Fine Day. Thank you so much! Arrived on Dec 28th for a 7 day stay. We had stayed in the very house in August of 2015 which was the reason for coming back. 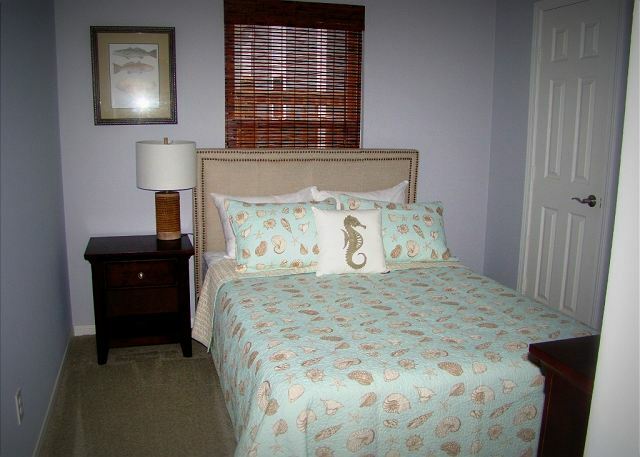 With it's excellent location, walking distance from the beach, and the household amenities it was a very good week. a guest from Spring, Texas does not recommend this vacation rental. 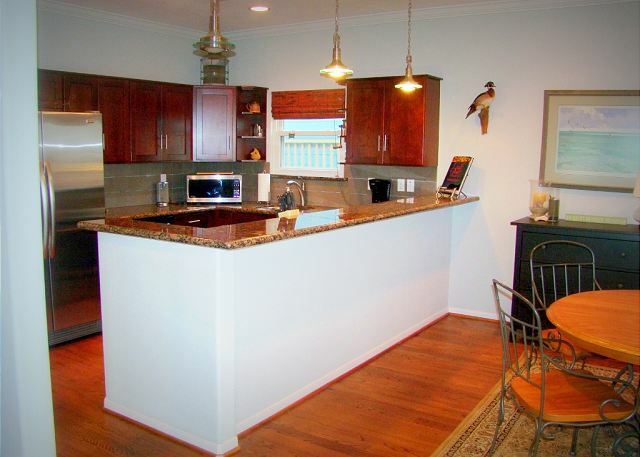 As usual, Cobb Real Estate provided us with another wonderful beach experience. We usually rent twice a year and this was our second stay at 1 Fine Day. We love the location!!! 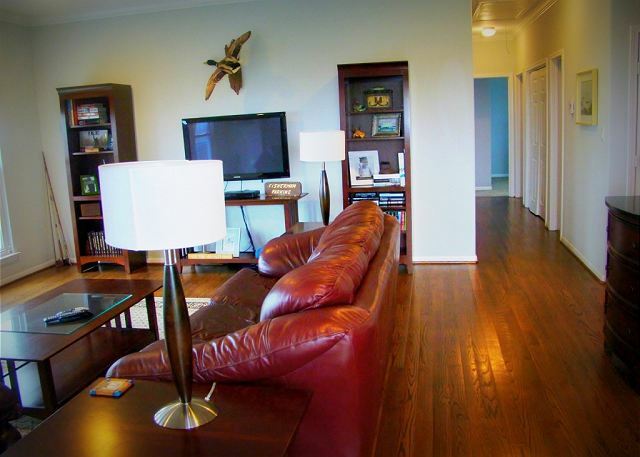 I rented this property as a 2nd rental for additional family guests attending son's wedding. All enjoyed the comfort of the rental property. No complaints from anyone. It was great. We all enjoyed the time spent there. The house was just what we expected. We already want to go back. We had a very good time loved the location, and got to mingle with the neighbor Randy. This is a lovely home in a nice, quiet neighborhood. We would stay there again. This house was perfect for (3) adult couples. Kitchen was fully stocked. 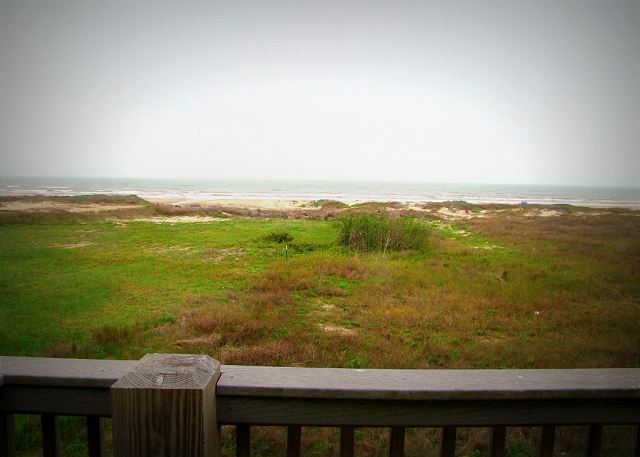 Excellent view of the Gulf. It was very easy to rent from Cobb. Great house. Would return. Only complaint was if you arrive after 5 p.m. you have to pay $50 additional. The home was beautiful & the weekend was so relaxing. Would definitely return! !